Livestream was there to capture SOBs performance at New York City’s SOBs last week in case you missed it! The show was sold out, and rocking – as was to be expected at a Spitta show. Spitta played a show last night at New York’s S.O.B.’s and brought out special guests Styles P, Action Bronson, Stalley, and Smoke DZA. Even more clips from the show below! In case you missed it, here’s Curren$y’s Ustream session from earlier today! Fast forward to 5 minutes and 15 seconds in, to catch up with Spitta. Don’t forget he’ll be performing LIVE tomorrow at SOBs in New York, and if you can’t be there, be sure to watch it online HERE at 9PM. Curren$y and Young Roddy’s “Three Piece Set” Mixtape! Curren$y and Young Roddy dropped a three track gift for all ears over the holidays called “Three Piece Set: A Closed Session”. You can listen to it and download it above! Curren$y Performing Live At New York’s SOBs on January 3rd! Spitta will be performing LIVE tomorrow night at New York City’s SOBs! See the flyer above for details. If you can’t be in New York City tomorrow, you can watch the whole show LIVE right HERE at 9PM EST. Curren$y makes an surprise appearance on the New Orleans stop of the 2050 tour. The cameras were rolling as he and Wiz performed "JET LIFE." 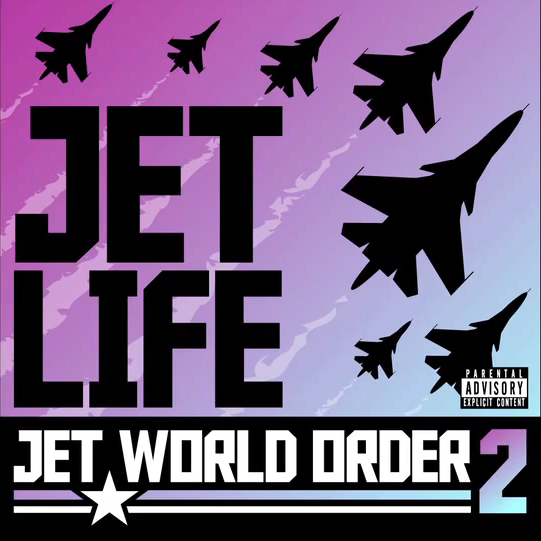 Download “Jet World Order 2” on iTunes! Spitta’s latest project “Jet World Order 2” is finally here! The project includes Sir Michael Rocks, Young Roddy, Trademark Da Skydiver and Smoke DZA and more! Get it on iTunes now! Check out Spitta’s latest video called “Chandelier” from his album “The Stoned Immaculate.” Pick that up on iTunes HERE! Check out the official behind the scenes footage for Curren$y’s upcoming video “Chandelier”! Tune into MTV U, MTV Jams, and MTV.com Sunday 11/11 at 6AM for the premiere of the full video!